Manufacturers give a fuel economy figure for new cars in litres per 100km for urban, extra urban (i.e. higher speeds) and combined (a mixture of the two). This number is determined via a standardised test which, unfortunately, bears very little resemblance to the type of driving the vast majority of people do. If a vehicle you are looking at purchasing has an indicated fuel economy of 8l/100km, everyday driving is probably more likely to be around 10l/100km (this is my experience, after driving and reviewing over 400 cars since 2007). However, the manufacturer-supplied figures are good for comparing between models, just not calculating what your expected fuel costs will be. Fuel efficiency can be reported in litres per 100km or kilometers per litre (and similarly using miles and gallons). Divide the litres it took to refill the tank by the distance travelled and multiply by 100. Divide the kilometres travelled by the amount of litres it took to refill the tank. You can do this every time you fill your fuel tank if you want create a long-term record of your fuel usage. Write your mileage down (keep a notebook in your glovebox). Drive normally until your fuel tank’s fuel light comes on, then fill up. It’s not good to run your fuel tank all the way empty because there is usually residue in the bottom of the fuel tank and it can get sucked into the fuel filter. Also, you risk running out at an inconvenient time. If you’ve waited until the tank is fairly empty until you refill you will get a good general representation of your fuel usage. Bear in mind that as the tank becomes emptier, the vehicle becomes lighter and therefore (all other things being equal) should get slightly better fuel economy. However, if you usually fill up when you get down to one-third full, that will represent your normal usage and therefore you should do that while you are measuring. When you fill up, it helps to choose the same petrol station and same pump because pumps have a slight natural variation. It also helps if it’s a similar temperature and atmospheric pressure to reduce any effects of the weather on the fuel (fuel is stored underground, usually at a constant temperature, to help avoid this situation). You can take the cost for your fuel per tank and divide it by the kilometres driven to find out your fuel cost per kilometre. e.g. $130 / 800km = $0.16 per kilometre. This is not your total cost per kilometre, though, as you will have to add on RUC if it’s a diesel, the fixed costs for your insurance and registration, the variable costs of maintenance (e.g. new tyres), the gradual cost of the depreciation of the vehicle, and your WoF if it’s more than 3 years old. If you want to reduce your price per kilometre check out our fuel economy tips – easy ways you can probably save up to 30% on your fuel bill. Manufacturers use a standardised driving cycle to determine fuel consumption. This is usually simulated rather than driving on an actual road, and contains periods of acceleration under load, coasting and idling. You can compare between many vehicles’ ‘official’ fuel economy figures using the EECA Energywise website. If the vehicle is fully electric (i.e. plug-in EV) then it is best to calculate for kilowatt hours per 100km. If you recharge your car at a commercial station then you can simply calculate how much it costs between fills. A detailed description of a more accurate equation accounting for transmission loss and battery inefficiency is here. 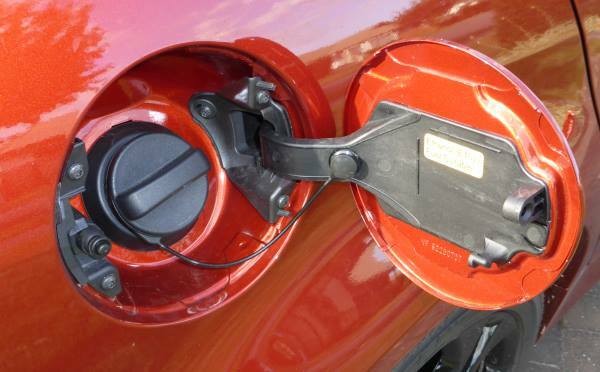 ‹ How are official fuel economy figures calculated?